Ohio State athletic director Gene Smith is stepping down from his position on the College Football Playoff committee, with Iowa athletic director Gary Barta filling his Big Ten colleague's spot. "Serving on this committee has been an honor," Smith said in a statement on Friday. "Contributing to this great sport is always a privilege, and I will miss the time with my colleagues. It is imperative for me to have 100% focus in helping our new coach with his transition at The Ohio State University this fall." Smith was a member of the committee for two years after being appointed in 2017. Per The Athletic's Stewart Mandel, Smith still had one year remaining in his term. Of note, Ohio State has been arguably the most debated squad during each of Smith's two years on the job. The Buckeyes won the Big Ten at 11-2 in 2017 and at 12-1 in 2018. And yet, they were left out of the field of four each time, only to go on to make a statement in their ensuing bowl game. "Gene has been an invaluable member of our CFP selection committee. As a former football student-athlete, coach and now collegiate administrator, his influence is deeply appreciated. This is a significant time commitment, and we understand Gene's need to focus on his primary responsibility on campus. I'm delighted that Gary will be joining the committee. He is a highly respected leader in college football and I look forward to him becoming a member of the committee. I know Gary to be a person of excellent judgment and he'll fit right in." Barta, whose Hawkeyes played a major role in keeping the Buckeyes out of the CFP in 2017, felt honored to be a part of the 13-person committee. 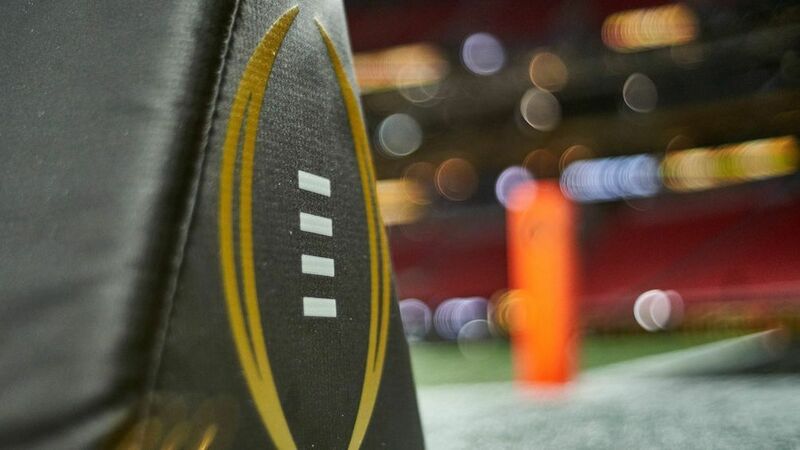 The change in personnel comes after Big Ten commissioner Jim Delany made it known to The Athletic's Nicole Auerbach in December that the conference would be willing "to discuss structure issues" with the current CFP system. That comes after the conference's champion has been left out of the final four in each of the past three seasons.